No better beers to take outdoors to enjoy these last few Summer weekends - that's confirmed by judges. 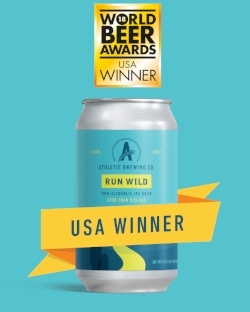 Run Wild IPA took home the Gold at the International Beer Challenge last week & was the USA winner in the no/low alcohol category at the World Beer Awards this week! Find out beer on our location finder here (https://www.athleticbrewing.com/where-to-find-us/) or buy online on our website.